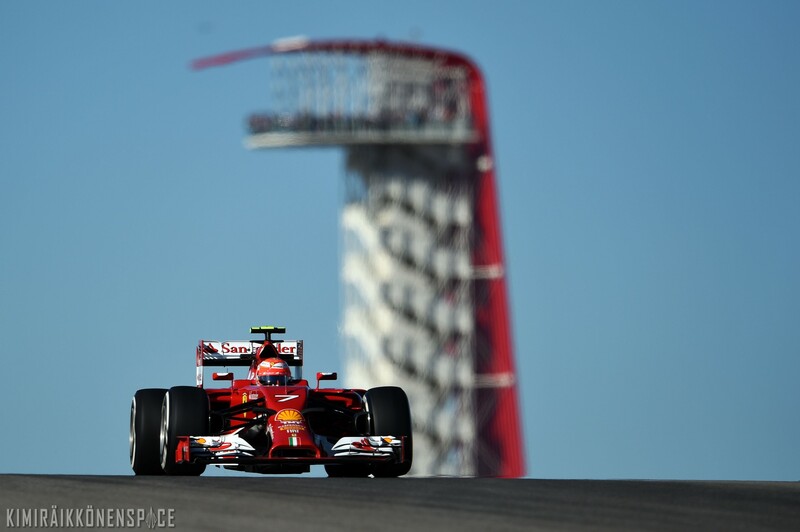 Report – Fernando and Alonso and Kimi Raikkonen finished the second free practice session for the United States Grand Prix in third and sixth places respectively. Temperatures had risen slightly since the morning, while the Scuderia Ferrari drivers continued working on set-up and were able to round off their tyre evaluation, also using the Soft compound in this session. Fernando completed 29 laps this afternoon, the quickest in 1.40.189. Kimi did 32, the best being a 1.40.543. Both men ended the session with some long runs to simulate race conditions. Once again, Lewis Hamilton set the benchmark time of 1.39.085, with his Mercedes team-mate Nico Rosberg second with a 1.39.088. In between the two Ferraris came the Red Bull of Daniel Ricciardo and Felipe Massa in the Williams. Once again, in the second session, the Virtual Safety Car system was tried out. On the Ferrari front, it was Kimi Raikkonen’s turn to try out the FIA’s new safety measure. Report – Fernando Alonso was sixth and Kimi Raikkonen was twelfth come the end of the first session of free practice for the United States Grand Prix. The track was still damp at the start of the session, following overnight rain, while air and track temperatures were much lower than expected. The Scuderia Ferrari drivers concentrated on set-up work and on evaluating the Medium Pirelli tyre. Both men also tested some parts on the car, completing 50 laps between them. Fernando did 27 of them, the best in 1.41.065, while Kimi did 23, stopping the clocks with a 1.41.965. Fastest was Lewis Hamilton who managed a 1.39.941, with his Mercedes team-mate Nico Rosberg second and Jenson Button third for McLaren. At the end of the session, Alonso and several other drivers, tried the new Virtual Safety Car system, which the FIA is evaluating, and which involves drivers not dropping below a reference time when yellow flags are waved for an accident.